Please note that the content of this book primarily consists of articles available from Wikipedia or other free sources online. 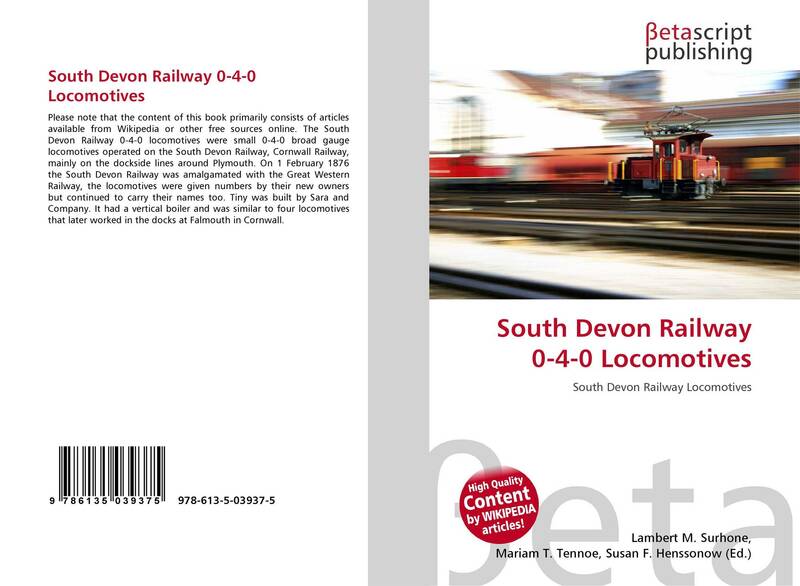 The South Devon Railway 0-4-0 locomotives were small 0-4-0 broad gauge locomotives operated on the South Devon Railway, Cornwall Railway, mainly on the dockside lines around Plymouth. On 1 February 1876 the South Devon Railway was amalgamated with the Great Western Railway, the locomotives were given numbers by their new owners but continued to carry their names too. Tiny was built by Sara and Company. It had a vertical boiler and was similar to four locomotives that later worked in the docks at Falmouth in Cornwall.